Shark conservation took a dramatic step forward today with the passage of HR 81 Shark Conservation Act of 2009 in the United States Senate. The Shark Conservation Act completely prohibits the removal of shark fins at sea; It requires that all sharks be landed in port with their fins naturally attached, replacing the rule that allowed for sharks to be finned at sea if certain conditions were met. The Shark Conservation act also closes loopholes in the current finning law and promotes shark conservation in other countries. The bill now returns to the United States House of Representatives where it must pass by a majority vote before heading to the desk of President Barack Obama for signing. Shark Defenders will update our blog as things progress. There is one week left in this session, so hopefully this will law will be passed before the week is out. The Senate passed legislation Monday to put restrictions on shark fin trading in the United States. The bill, sponsored by Sen. John Kerry (D-Mass. 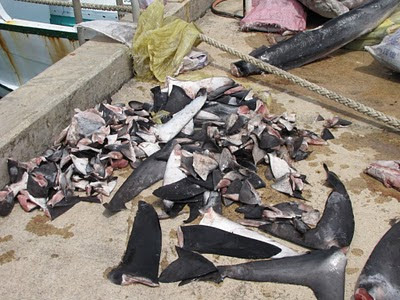 ), closes a number of loopholes in a ban on shark finning imposed by then-President Clinton. While the House has already passed a version of the bill, it still needs to approve the Senate version, because Kerry’s office made a number of technical changes to the legislation. Pew Environment Group and Oceana have also released statements. Over 1000 people have "liked" this blog post on Facebook. That is amazing. Thank you!